Was 2014 a good year for Scottish writing? And — more importantly — have you missed anything? There’s still time to catch up! ASLS has asked seventeen authors, critics, academics, and members of the literary sector to tell us about their favourite Scottish book from this past year. 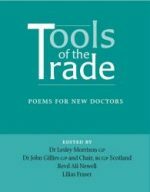 The book could be in English, Scots, or Gaelic, it could be published for the first time in 2014 or re-issued this year, and could be a work of fiction, poetry, or academic research. And what a wonderful list it is. We’ve got some well-kent faces here and exciting new ones, and it all shows the variation and vibrance of Scotland’s writing culture. There is something for everyone, so get comfy, and have a browse through the Best Scottish Books from 2014. The list is organised by title. If your favourite isn’t here, let us know about it! The first new collection of poems by Duffy after becoming Poet Laureate of Britain is now available in paperback. And what better way to move forward after the Referendum, no matter one’s feelings in its aftermath, than by reading it (again)? 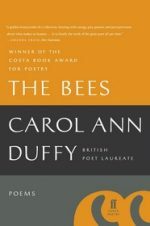 Like her titular subjects – who buzz around and through many of this volume’s verses – Duffy is equal measure sweetness and business. Whether extending the Romantics’ tradition of meditations on the human-environment continuum, or focusing on urban phenomena like charity shops, her love of language and depth of feeling encourage us to enjoy every word, line, and stanza. James Robertson’s experimental collection 365 – 365 stories of 365 words each, from January 1st to December 31st – is a joy of possibilities. Fable, satire, epiphany, folk-tale, meditation and denunciation are all encompassed in these restricted little wonders. 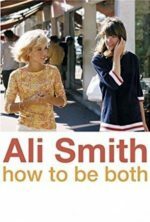 Ali Smith’s How To Be Both is a study in how not to be both – two novellas spliced together, half the copies of which begin with the contemporary and move on to the Renaissance, and half vice versa (or should that be vice verso?) – meaning the reader is left both choosing and choiceless. 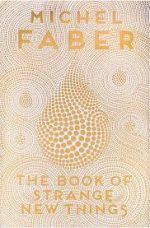 Michel Faber’s The Book Of Strange New Things is an absolute wonder, featuring Earth’s first Christian missionary to an alien planet, whose wife sends increasingly worrying interstellar emails about how alien the Earth is becoming. It’s plangent, beautiful, sincere and strange. 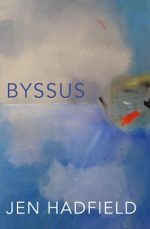 Jen Hadfield’s Byssus – named for the tough fibred ‘beard’ of the mussel, which anchors it to the seabed – is her third collection. Jen Hadfield is surely one of Scotland’s most original contemporary poets, unafraid to be playful, the detail of her fine observations of places and creatures so often humorous and illuminating at the same time. The cockle’s ‘smile’ is ‘a stuck-in-the-mud smile’, a ‘spit-in-your-eye smile.’ Jen Hadfield’s accuracy of image is often astonishing. A group of adolescents use mobile phones in the dark and we’re told: ‘they’ve cracked open / their phones like geodes.’ Like Hadfield’s previous collections, belonging and home are vital here: ‘this place / these folk // what was on your doorstep / all along’. Nevertheless, the people and landscapes of Shetland are brought out in vivid lyrics that show them anew, illuminated and vivid. My research is concerned with women’s travel writing, so perhaps I would have been naturally drawn to Doubling Back, but actually, I just like Linda Cracknell’s writing. Her 2014 book is New Nature Writing which has been defined as experimental in its forms. Cracknell’s book experimentally combines essay, reflection, travelogue and memoir. She walks in her own childhood as well as in the footsteps of others, where she makes ‘peace with the contradictory impulses of familiarity and “otherness”‘ and confronts the unreliability of memory. That gothic internal strangeness in her writing has struck me in much of her work and has at times unsettled my students. And yet, there is a wonderful humour in her reflections; it is the honest, personal integrity in her writing that I find engaging, and the unfamiliar treatment of the familiar which is haunting. 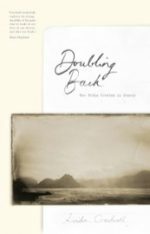 I am delighted that Doubling Back has been declared an outstanding success in New Nature Writing by such weighties in the genre as Robert Macfarlane. I fully agree. 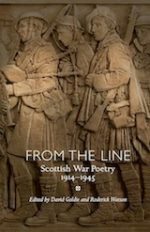 From the Line: Scottish War Poetry 1914-1945 could not be more timely. Editors David Goldie and Roderick Watson have drawn on the work of more than fifty writers. Familiar pieces from World War I include Charles Hamilton Sorley’s nihilistic sonnet “When you see millions of the mouthless dead” and Neil Munro’s darkly ironic “Hey, Jock, are ye glad ye ‘listed?” The Second World War highlights range from the intellectual gunnery of Hamish Henderson’s Elegies for the Dead in Cyrenaica to Alexander Scott’s paean to ordinary “Sodgers”. Less familiar material adds to the cumulative power of this testament to bravery and resilience in the most extreme situations. 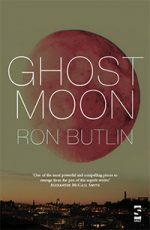 When he’s not writing wonderful poetry, former Edinburgh Makar Ron Butlin is writing amazing novels and Ghost Moon is no exception. It’s probably one of the most uncomfortable books I’ve ever read, but that is testament to the truth of his writing and the raw emotion of the story. The complexity and difficulty of Tom’s adult relation with his mother, as the story of her life as an unmarried mother in the 1950s is revealed through the filter of dementia, is incredibly well written and hugely moving. — chosen by Linden Bicket, who teaches in Scottish Literature at the University of Glasgow, and in Divinity at the University of Edinburgh. She is also co-director of Scottish Universities’ International Summer School. 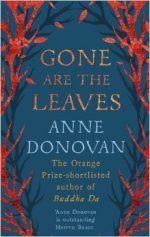 Anne Donovan’s medieval romance, Gone are the Leaves, might at first seem a world away from the world of Buddha Da (2003), in which a Glaswegian painter and decorator develops an interest in Buddhism. But though Gone are the Leaves is set in the sixteenth century, there is much to unite these two novels. In this new tale, Donovan again explores faithfulness. Her narrator, Deirdre, the young apprentice to her seamstress mother, is a clear-sighted, imaginative and tender little artist, who falls in love with Feilamort – an orphaned choirboy with an angelic voice. Deirdre is absorbed by the beauty of creation, and her luminous observations of the sacramental universe are woven like a trail of silver thread throughout: ‘Autumn is the season of death yet tae me it is mair alive than any. Leaf fall, tomber, is death, but whit a bleeze of glory precedes it: brichtness like a pain through the heart.’ Donovan’s love of and feel for the cadences of Middle Scots is keenly felt in this text, which by the end is an absorbing, lyrical fairy tale. My book of the year has to be Ali Smith’s How to Be Both. In 2012 Smith published a collection of essays called Artful, and that’s exactly what this novel is. Smith takes the idea that there are two sides to every story and explores it in the most wonderfully life affirming and unexpected manner. She touches upon favourite themes of art, sexuality, death and religion, and plays with them in a manner which is vivid, vibrant and complex, with a style so elegant it takes the breath away. Ali Smith reminds us of what fiction can do at its very best. Moss Witch is a collection of stories inspired by discussions with scientists in several different fields, from Geology and Anthropology to Physics, Genetics, and Astronomy … and of course, Bryology. Maitland chooses her genre for each so that fairy tales and creation myths rub shoulders with folktales and flat out horror. And it all works like a charm. The stories are enchanting, illuminating, and sometimes frightening (as you expect from an author known for her deep understanding of fairy tales). 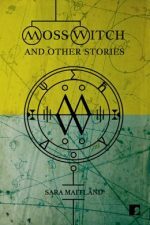 Each one is followed by a brief commentary by the scientist whose work inspired it – these are fascinating and the concept works well.Moss Witch is a ground-breaking collection that shows us how much value – and magic – there is in looking at the world from different perspectives. Drama, politics, love, misunderstandings and what might be happy endings. It sounds like the perfect recipe for much fiction, both in Scotland and elsewhere, but if Robert Louis Stevenson is in the kitchen, then you may be sure the combination of ingredients will result in an unexpected and unforgettable blend of flavours. With Prince Otto, the novel first published on 1 November 1885, and that has recently appeared in the New Edinburgh Edition of Stevenson’s Complete Works, the impression of being in a folk tale with a twist is already in the title of the first chapter “In which the prince departs on an adventure” – a prince and an adventure are almost inseparable, but ‘the’ prince? We are assumed to know Prince Otto already, but where are we? And though the setting sounds like that of an operetta by Franz Lehár, the narration takes unexpected turns in the best Stevensonian tradition. As we approach RLS Day (13th November), this new edition will certainly provide several good nights’ entertainment. Prince Otto may not be Stevenson’s greatest novel – it is hard to compete with The Master of Ballantrae, Kidnapped and Treasure Island – but this study of the conflict between private and public life is well worth returning to, like just about everything Stevenson wrote. I have always had a fondness for it and it is great to see a new edition appear in 2014. What is more, it is the first volume of the New Edinburgh Edition of Stevenson’s works which promises to be a source of renewed pleasure and new insight over the coming years. 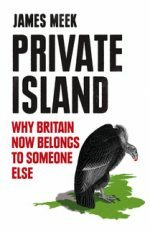 James Meek’s non-fiction book Private Island is the result of several years of research – which shows. It’s like someone has waded through all the complexities of the Great British Sell-Off (the privatisation of our public assets and utilities) and turned it into something anyone can understand. Meek is a great writer and a lucid interpreter of recent history. He explains why, post-Thatcher, the project went on regardless of which political leader was in Downing Street. His image of the captive British public as the real asset being sold to huge far-off investment funds, recasts the debate as something very different from the one we were told to have. This is a vital, generous, view-changing book. In the end, I couldn’t separate them, so – check my privilege – I chose two, both of them collections of short stories. First comes The Rental Heart and Other Fairytales by Kirsty Logan, twenty compelling tales where often the literal becomes literature: broken hearts are things of clockwork, a light eater snacks on lightbulbs, and things are strange and sideways and told in tastes and tangs and tactile touches, as the prose trip-traps along and pulls you under. 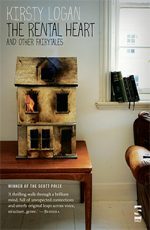 And then there’s John Burnside’s Something Like Happy, thirteen windows onto little lives picked out both stark and sympathetic. Burnside’s unreality runs more slowly than Logan’s, the sense of an otherworld more deeply buried, for the most part, but the undertow is there, and suddenly a long, swooping sentence grabs you and drags you off and down, into some splash of colour so vivid it can take your breath away. These two titles bristle with power. Hold on with both hands. The outstanding book this year was Michael Penman’s Robert the Bruce: King of the Scots. 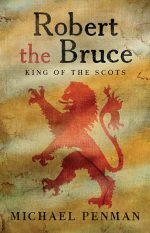 A brilliant and scholarly account that focuses particularly on the years following the Battle of Bannockburn, when Bruce became ruler of an independent nation, this is history of the finest kind. Though complex and closely written, it is not just readable but covers old ground in a fresh and revelatory way. Penman’s painstaking research allows him to describe the politics, society and economy of the country Bruce found himself governing. It was not an enviable task, but in exploring the ways in which the king confronted the challenge – sometimes mishandling matters, but more often showing great guile – the historian offers a glimpse of the personality behind the often-told myth. Combined with original analysis, this makes for a magisterial work. This delightful volume is aimed at the large number of Poles who have made Scotland their home in recent years. Its purpose is ‘to make them aware of the existence of Scots, give them an idea of what this language is and how it functions in their everyday surroundings’. In this it succeeds admirably, but you don’t have to be Polish to enjoy and learn from it. It is informative, accurate and entertaining. 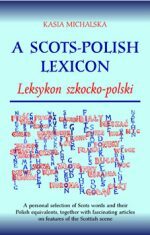 As it uses English as an intermediary/explanatory language, it is not only a bridge between Scots and Polish but a handbook to understanding Scotland past and present for anyone who can understand one or more of these three languages. Next to the entry for ‘toun’, for example, is a panel with notes on the Lang Toun (Kirkcaldy) and the Honest Toun (Musselburgh). Similar articles cover subjects as diverse as the Reekie Linn, Tolbooths and Windaes (with explanations of ‘windae-hingin’ and ‘Pick a windae, ye’re leavin’!) A great resource for teachers, bairns, visitors and residents regardless of origin. This pocket-sized anthology is a special book for me this year. It was given free, via all four medical schools in Scotland, to new doctors graduating in 2014, and will be in 2015 too. The response to fundraising and publication has been steady and heartwarming: doctors, their families, and people who just think doctors have a tough job, have all been buying the small number of sales copies, and donating towards the costs of the book, so the production costs are being paid entirely by sales and donations (and generosity of copyright holders). And I love the poems!